As a small town with a population of 19,000 residents, La Chapelle does not operate an airport. 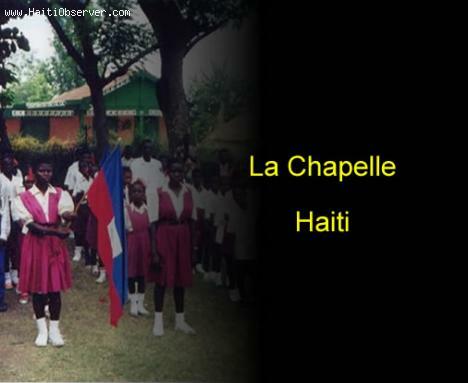 To fly out of Haiti, the town depends on Cap Haïtien International Airport located 32 miles from La Chapelle. Closer, smaller airports are in Dajabon and Monte Cristi. Agriculture is a mainstay of the local economy. Farmers plant crops indigenous to the Caribbean region, among them bananas, mangoes, coffee, and sugarcane. La Chapelle's infrastructure needs maintenance attention. Services that need on-going funding include healthcare, schools, sanitation systems, and utility delivery to all parts of the town. Roads also need maintenance and in some cases need to be rebuilt.